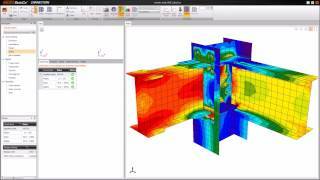 IDEA StatiCa Connection enables engineers to analyze, design and check steel connections/joints of any topology and loading. And does it in minutes. 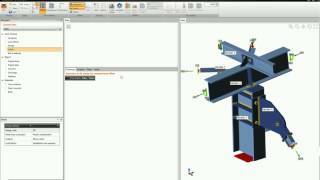 It works as a standalone application as well as the next step in workflow started in Autodesk® programs Autodesk® Advance Steel, Revit and Robot Structural Analysis. Install IDEA StatiCa Connection, Link Installer is automatically launched at the end of the installation process. Select your version of Advance Steel and click the button Install. If necessary, Link Installer can be manually launched from the Windows Start Menu anytime. Install IDEA StatiCa Connection, Link Installer is automatically launched at the end of the installation process. Select your version of Revit and click the button Install. If necessary, Link Installer can be manually launched from the Windows Start Menu anytime. Open your project in Revit, choose the right node and start IDEA StatiCa Connection from Add-Ins in Revit ribbon. IDEA StatiCa Connection is based on a unique CBFEM method that combines finite element and component method. 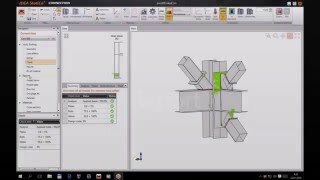 Model and mesh creation is fully automated and enables structural engineers and fabricators to properly check any joint according to various design codes. This app was developed by IDEA StatiCa, AEC Solution Associate of Autodesk – recommended provider of steel connection design for Autodesk users. Get step-by-step tutorials and other materials here. This app is valid only 14-days since its activation and cannot be prolonged. For further use of IDEA StatiCa, please contact IDEA StatiCa team. Do we need to purchase robot structural analysis and structural analysis took kit to use this connection design feature? or can we just have this took and revit only to design the connection? I have been active in design software for more than a decade. IDEA Connection brings a fresh new approach in steel connection design which no other design software has. With their CBFEM method IDEA can design also the difficult and not so day-to-day steelconnections. 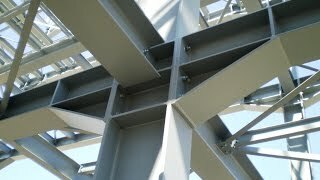 With IDEA BIM you can link to other software like Robot, Advance Steel. Impressive modeling capabilities! I struggled a little bit with the activation.